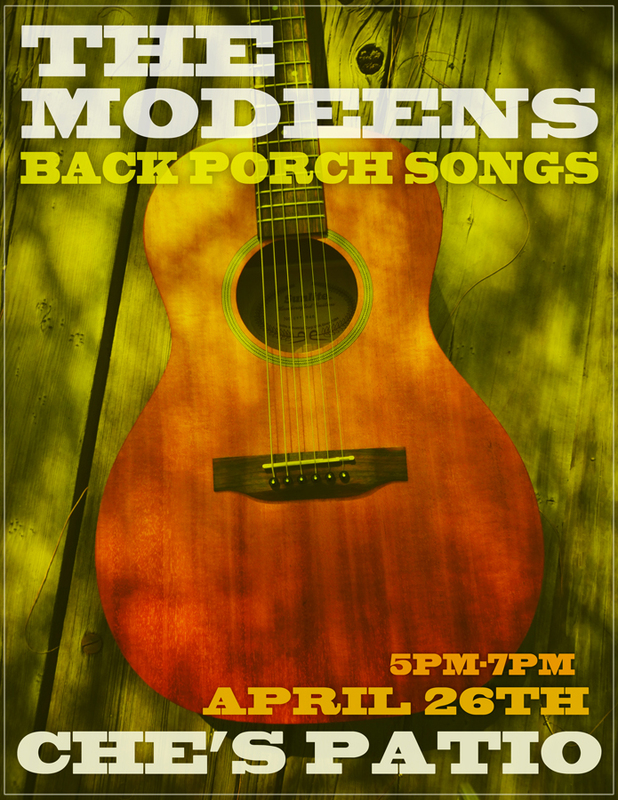 Hang out with Jamie and Cristina (me) on the Che’s Lounge patio as we play our favorite back porch songs. Jamie’s on the Sunlite guitar pictured in the flyer and I’m breaking out the Fender acoustic bass. 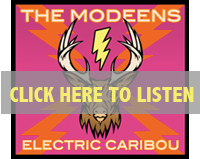 We’ll be playing stripped down versions of Modeens rockers and a some fun (and surprising!) covers. Two sets, no cover and a lovely way to spend a Sunday afternoon (trust us, more often than not, we spend our Sunday afternoons here anyway!) The Sturgill Simpson concert at the Rialto will be the night before (we already got our tickets) so this can be your day-after party.